Colleagues remember him as a pioneer in clinical psychology who mentored students and faculty alike. Kurt Salzinger, a longtime Hofstra University professor who fled Nazi persecution in Europe as a boy and devoted his life to the study of human behavior, has died from injuries suffered in a fall on a New York City subway platform. He was 89. 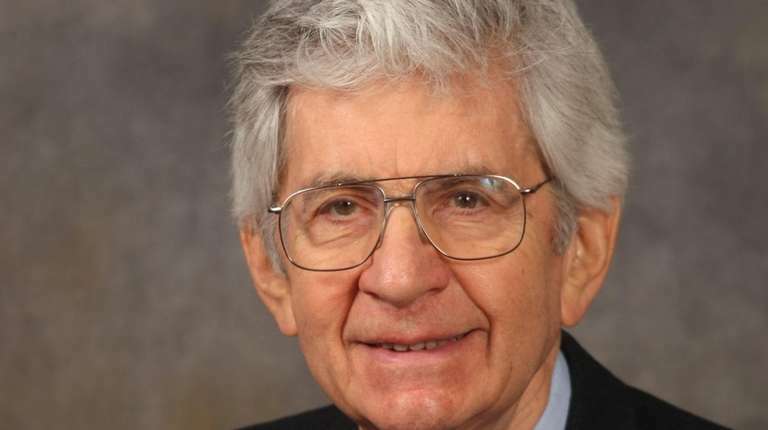 His colleagues at Hofstra, where Salzinger helped build the university's doctoral program in clinical psychology, called him a pioneer who mentored students and faculty alike. In an interview with WNBC, his wife, Deanna Chitayat said her husband had been knocked to the ground in October by a rushing subway rider at the 34th Street station below Macy’s department store. Police on Monday said the incident is still under investigation. Salzinger died Thursday from head injuries sustained in the fall, according to the Riverside Memorial Chapel in Manhattan, where funeral services were held Sunday. Salzinger was born in 1929 in Vienna, Austria, where his father had been a lawyer before the Nazis prohibited Jews from working, according to Schare and an obituary posted on the chapel's website. His family first fled to Latvia then to Japan before taking a ship to Seattle and then settling in New York City, where he attended the Bronx High School of Science. He received his doctorate in psychology from Columbia University in 1954, according to his Hofstra faculty profile. Salzinger authored or co-authored 14 books and wrote more than 120 articles and book chapters, according to Hofstra. He also served on the faculties of Columbia University, Polytechnic University, Rutgers University and CUNY City College. His research focused on the analysis of human behavior. His colleagues said he had a deep knowledge of the history of psychology. Hofstra psychology professor Mark Serper said that in the 1970s and 1980s, Salzinger did pioneering work on schizophrenia, postulating the “immediacy mechanism” that “accounts for many of the symptoms of psychosis.” That theory explains how schizophrenics form conclusions based on immediate stimuli while ignoring broader perspectives. "He was a very optimistic guy, always looked on the bright side of things,” Serper said of Salzinger, with whom he coedited a book on behavioral psychology. Salzinger was also very helpful to students, Serper said. “He had a tremendous impact on shaping their thoughts for clinical practice,” Serper said. Salzinger joined the Hofstra faculty in 1992 and served as its director of training for the graduate program in clinical psychology for nine years. In 2003 he became a senior scholar-in-residence at the university. Chitayat also served as a psychology professor at Hofstra and as its dean of continuing education. Along with Chitayat, he is survived by his four children, two stepchildren, and four grandchildren. Notable deaths: Long Islanders we recently lostRemember notable Long Islanders who recently died.